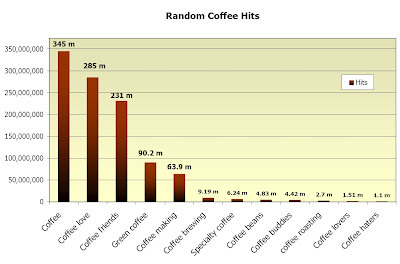 I play with numbers quite a bit and this morning as a warm-up exercise for some serious number play I did a comparison of various search terms including the word coffee. The world loves coffee far more than it hates coffee. love your Coffee googlings-the world DOES love coffee-so do I! !